I realize this doesn’t really count as a box and I *wish* I had taken a picture, but at a Target I visited yesterday (4/11) I found “Gift Sets for Mother’s Day) that contained 6 different Que Bella facemasks for $9.99. Generally, each of these retail for $2.49 individually so if my math is right (and it may not be) you’re saving about $5 OR getting 2 free. I want the iris design on the first box, but I didn’t care for the products. I ordered the second box. I don’t know if any of y’all swap, plus all the negative Nancys who already posted probably never come back to look at f/u comments, anyway, but if you don’t like an item in a box, you can always use it as an “extra” in a swap. So for a dollar a piece, you have a little somethin’ somethin’ that just might make someone else’s day. I decided to order a couple and I can’t because there is now a $25 free shipping limit. Did anyone else have this issue or am I experiencing a deal-breaking glitch? cool. this doesn’t ship to alaska either. These boxes have def went downhill… Haven’t ordered these in months! I am interested in the first box but not sure if its worth it! Ugh! Got both because I have FOMO! Glad to see it’s not just me who thinks these boxes have gone way downhill. I feel like that about quite a few boxes nowadays, sadly. I’m still undecided on this box but I’m like everyone else, it seems the value of these boxes use to be more. The repeats, foil packets, deodorant, and toothpaste don’t have much of a value to me personally. I am tempted, but last month’s arrived with no outer box, so both boxes I ordered were ruined: bashed corners, torn plastic and black marks all over plus big grease spots from the spilled product inside. 🙁 not sure why they stopped sending them packed in an outer box. Oh no… anyone else get no outer box? 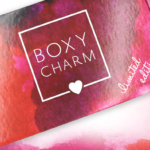 The pretty boxes is another reason I order them and I don’t want smushed boxes! For as long as I can recall, I’ve only ever received the Target boxes sealed in plastic wrap, no outer box. Never had an outer box . Ordered from Target for several years. I haven’t ordered a box for a few months, but in the past when I ordered one box it came in plastic only and when ordering 2+ boxes, they came in a separate box. Have they changed the way they ship multiple boxes? I bought one of each. The hand cream in the Naturals box sells for $4.99 alone and the deep conditioner is around $3, so it was worth it for me. I think I’m done with target boxes. Once upon a time, for five dollars you got seven or eight items in a box, one of which was usually full-size, and no more than one of which was a foil packet or sample. I’d imagine that target realized that those were a money loss for them, and thus you see boxes now having fewer items and cost more. But the value just isn’t there for me any more. I wouldn’t be surprised if I could go to a Target and get these exact items off the shelf for not much more than $7. Yikes. 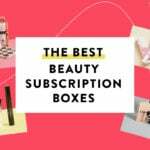 Target’s monthly Beauty Boxes just keep getting weaker and weaker. Super glad I snagged some of the $9.88 boxes from Walmart instead. Those were an insanely good deal. Pretty?? They just say Target on them. 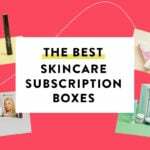 Are you thinking of Birchbox – they have box designs. Yuppers, I’m skipping this month as well. I’ve got too many dry shampoos etc. Thanks. I git the naturals box. I think I used to buy these without even looking at the products but they’re just not appealing to me. Me too! I just don’t like anything they’ve been putting out lately. I used to always watch out for the release day, but now I don’t even bother. Both boxes have products I’ve never tried before, which is why I get subscription boxes in the first place. I ordered both for this reason. That written, I am still missing the days when these $7.00 Target boxes had some wow factor in them. Easy pass. Already have so much dry shampoo, don’t use anti-perspirants, not interested/have already tried other products. Once again both boxes are unappealing. And I can’t believe two of the items in the first one are just foil packets. Not so interested in the naturals, but ordered the other. A solid selection.